Watch Sandwich Soul’s Performance at the Celtics Game! 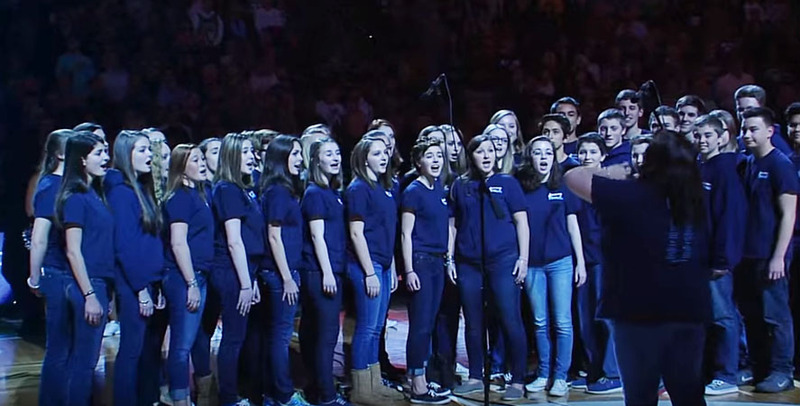 On January 13, 2016, Sandwich Soul sang the National Anthem at the Celtics Game. It was so exciting for our SHS students to perform in front of such a large crowd. Blue Knight Pride was on full display, with music director leading the group and Kevin Lasit recording the performance. Click here to see Kevin’s recording. Click here to see what Soul looked like on the Jumbotron at the Garden!